Through its new transformative texture, Lancome's premium Absolue skincare range reveals NEW Absolue Soft Cream. 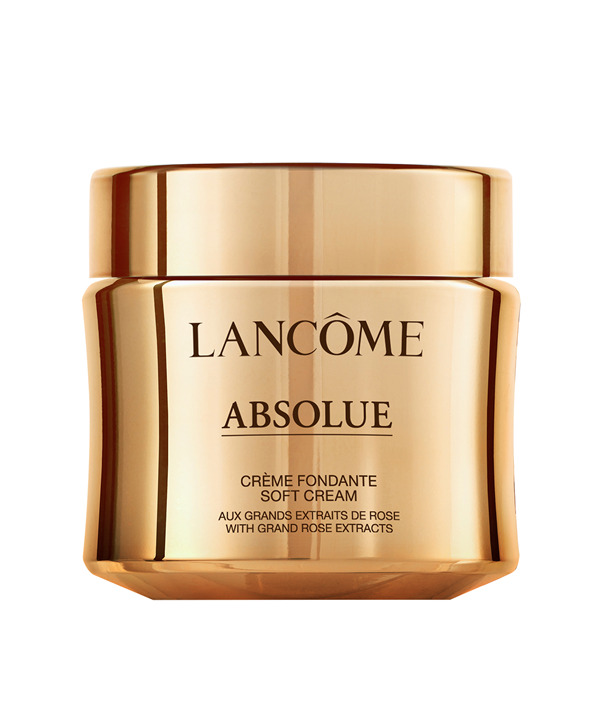 At the heart of the Absolue range is our Grand Rose Extracts enriched with Lancome Rose, Rose Damascena and Centifolia Rose. This NEW Soft Cream helps promote skin surface cell renewal and leaves skin feeling softer, more supple and comfortable. Combine wellbeing, beauty and your environment with Absolue soft cream refill, an opportunity to reuse whilst indulging in premium skincare by minimizing waste. FIRST STEP Before you start, blend and warm up the texture with your fingertips. PHASE 1 – THICK Soothe & comfort - Apply it on the face by using light pressures. PHASE 2 – THIN Reactivate & illuminate - Spread the product across the forehead, cheeks and chin in long gliding strokes, working from the center to the outside of the face.